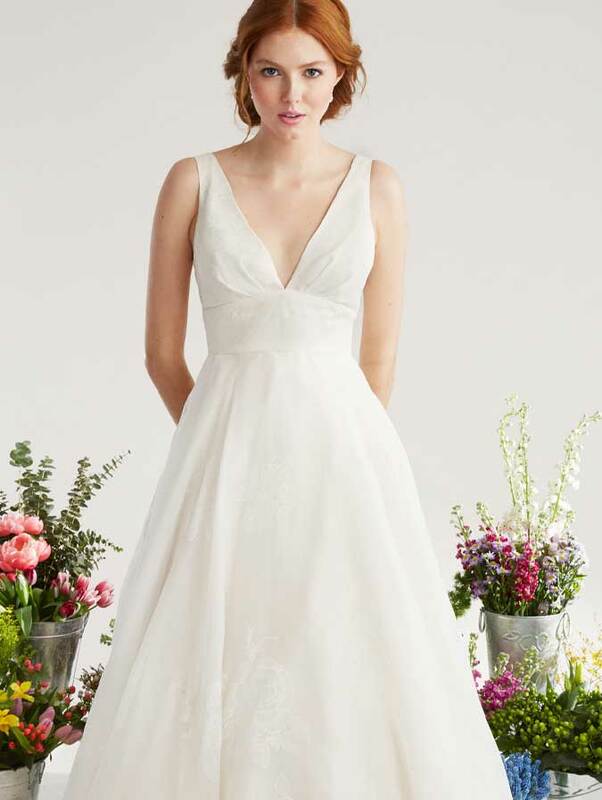 This weeks view will show you a Karen Willis Holmes favorite here at Bella Bleu Bridal. 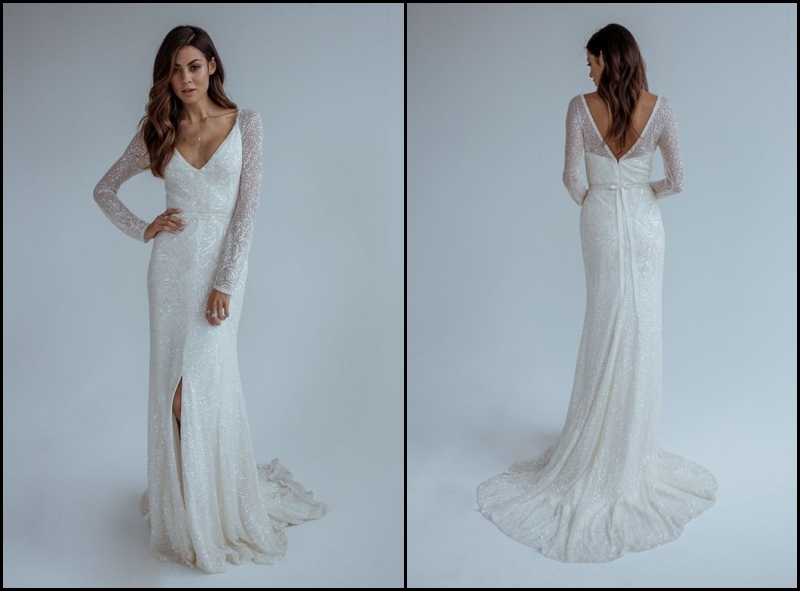 Style inspiration for your dream gown! 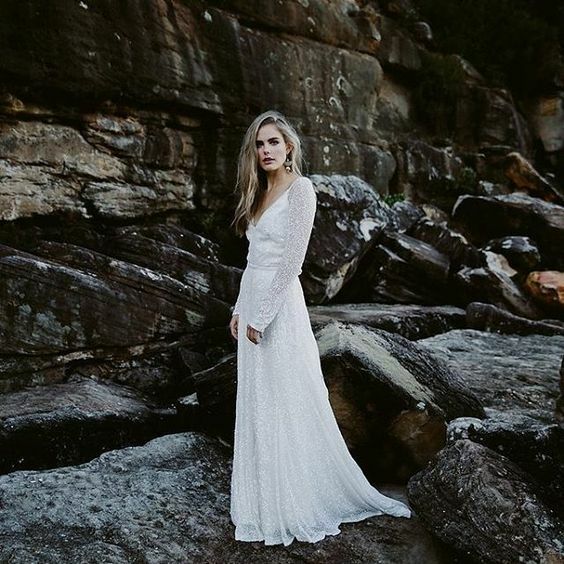 Have you always been dreaming of a stunning, romantic, eye stopping, long sleeve wedding gown? 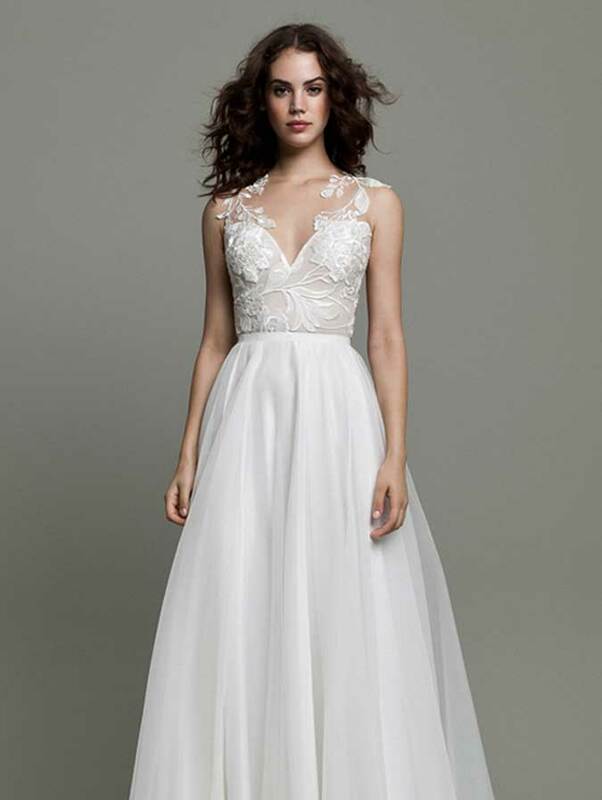 Look no further, the Celine from Karen Willis Holmes Beaded Collection has absolutely everything you’re looking for. 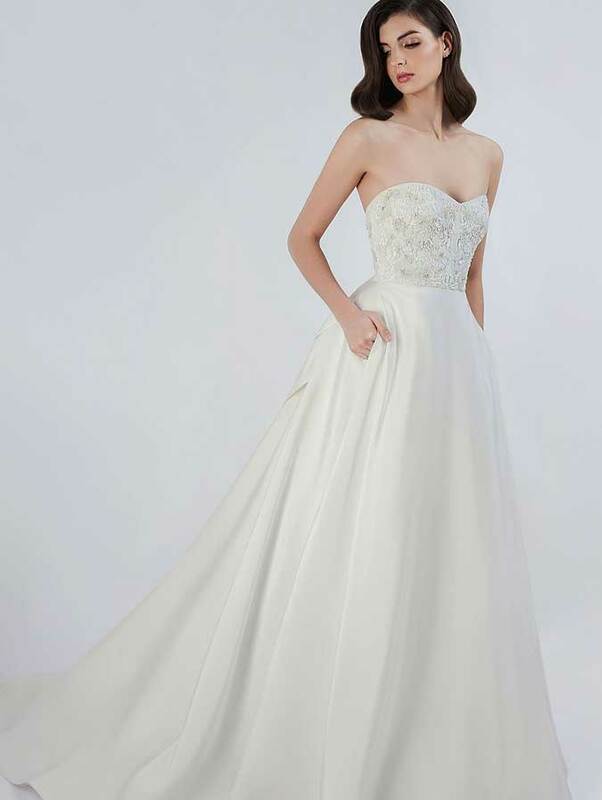 This sheath fitted gown would really show off your curves in a sweet and dreamy way. While the slit adds a touch of sexiness. 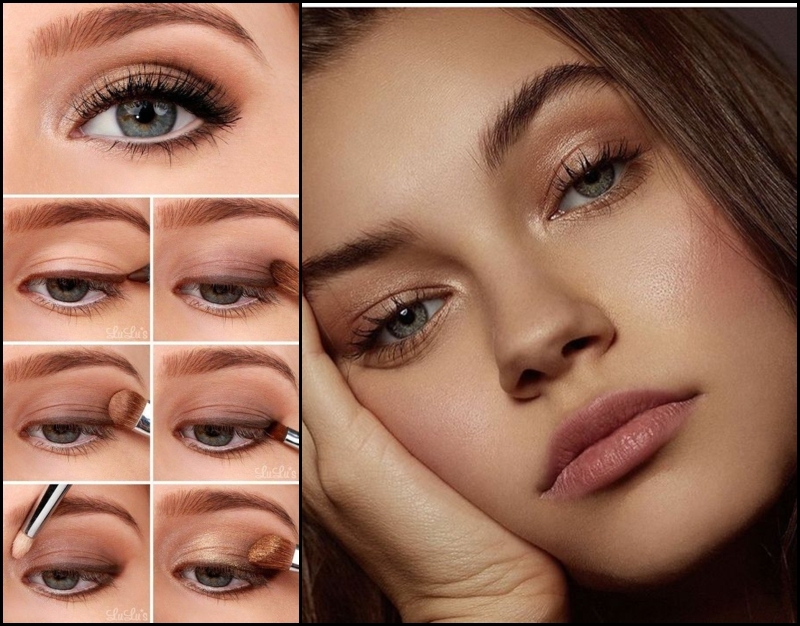 Keeping your makeup super natural would perfectly complement the modern look of the beaded gown that no one will be able to take their eyes off of! Adding soft rosy pinks to your cheeks and lips to create a pop of color where you need it, while still keeping the look very sweet and dreamy. Without going too over the top with sparkle, these simple Haute Bride stud earring would be an absolutely stu(d)nning finishing touch to the beaded dress. The leaf design incorporated in these earrings complements the beaded patten of Celine flawlessly, making your look more sophisticated. 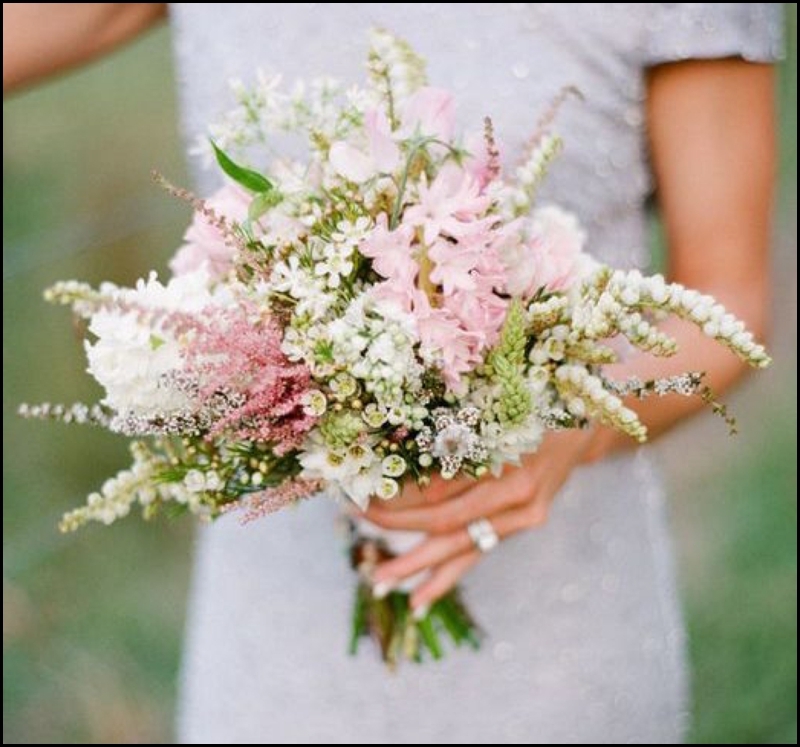 For a summer wedding this floral bouquet is ideal. 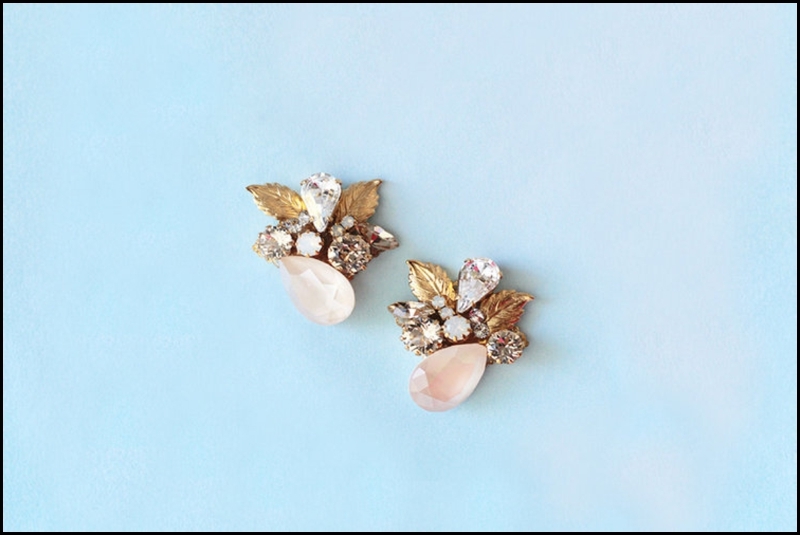 The pops of soft pink and green add color to you look while bringing out the rosy hues from the earrings and makeup. Having two pairs of wedding shoes is such an amazing idea, especially for destination weddings. 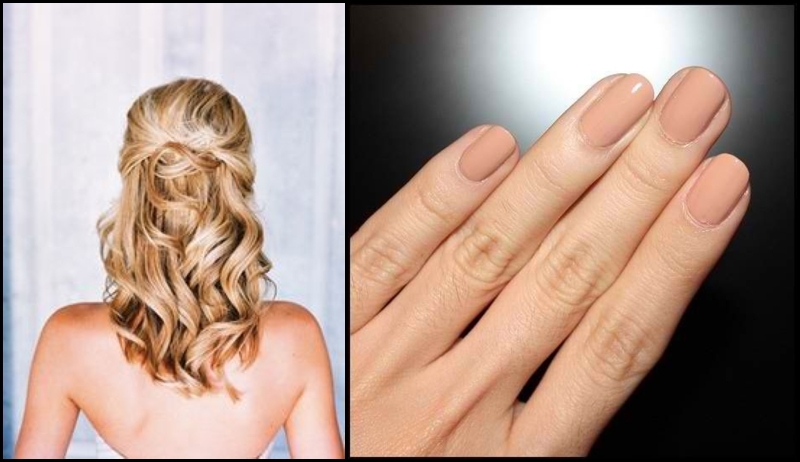 Starting the wedding off and perfectly matching your matte nails, these Jimmy Choo pumps would be breathtaking peaking out from underneath the slit of Celine. Can we just take a second to admire how adorable those matching husband and wife wedding Chaco’s are! These Chaco’s would be perfect for that destination wedding you’ve always dreamed about, hiking through the mountains of some beautiful place, while not having to worry about how bad your feet are going to hurt the next day. Even if you don’t have a destination wedding it’s always a great idea to have a pair of back up shoes! Destination wedding are HUGE these days! I mean who wouldn’t want to have a fairytale wedding in a storybook location. Think about all the picture perfect photos you’d have to look back on. Image saying “I do” on these gorgeous New Zealand mountains, then climbing back down the mountain and having your reception in these dreamy woods of New Zealand, which also happens to be a winery. Need I say more! Falling in love with this look? Come try it on at Bella Bleu Bridal!